I love to try new dishes, and I love when people give me recipes to try. My friend Marla Lemmerman gave me this one. We were talking at work one day about what she's been cooking, and she told me about this tasty dish. I was intrigued by the paprika and sour cream, especially. Sometimes I can get stuck in a rut when it comes to cooking chicken. So I was really looking forward to trying this. I researched other Chicken Paprika recipes on the web, I read Wolfgang Puck's recipe, and I also referred back to a Hungarian cookbook that I was given when I visited Budapest one summer. This is now one of my favorite ways to prepare chicken! 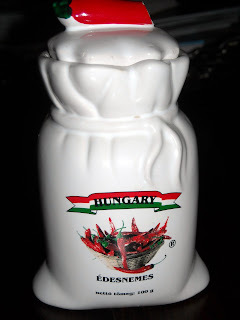 I also received this paprika while in Budapest. Apparently, Hungary is the place for paprika. Thanks to King Pharmaceuticals (Now Pfizer) for that amazing trip for Presidents Club. And thanks to Marla for sharing this recipe! Cut chicken into 4 to 8 portions. Pat chicken pieces dry with paper towels. Sprinkle chicken with lemon juice; coat with flour. In a medium skillet, saute bacon lightly. Add chicken pieces; brown slightly. Add stock, red and green peppers, salt and paprika. Cover and cook 20 to 40 minutes, depending on size of chicken pieces. 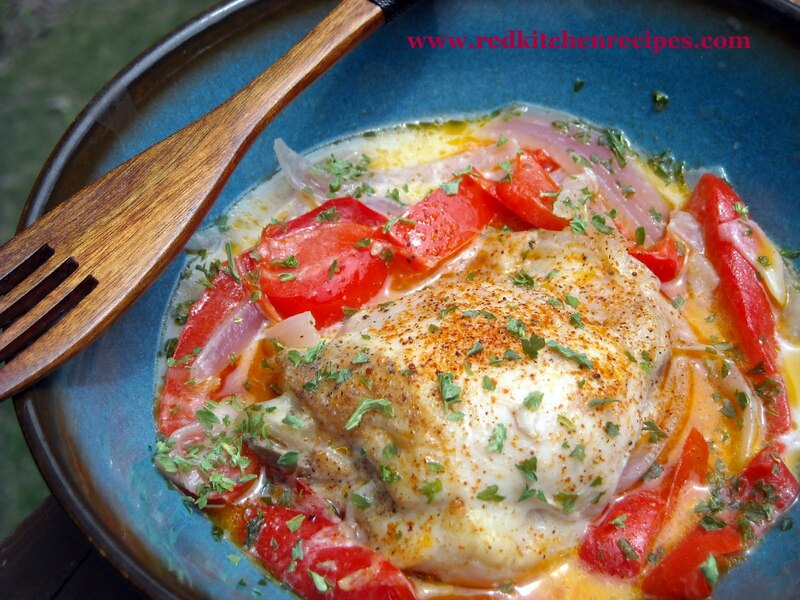 When chicken is tender, stir in tomato paste, wine and sour cream. Heat through. Serve immediately. Makes 4 to 6 servings. Hi big fan if you like this page go to blog spot awards.com then go to page 26 and vote for thanh Rasico . One of the very first cooking shows I ever saw was Wolfgang Puck making his version! I like the creamy sauce...that will go over great with my family! i think this is an awesome recipe. i am a big fan.